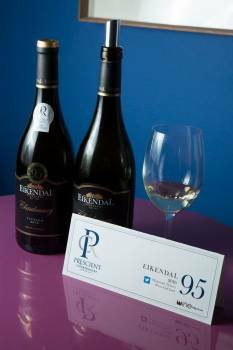 Win a six-bottle mixed case of Chardonnay! Win a six-bottle mixed case of wine made up of some of the top performers from last year’s Prescient Chardonnay Report. Competition not open to those under 18 years of age and closes at 17h00 on Friday 11 May. The winner will be chosen by lucky draw and notified by email. Existing subscribers also eligible. Done. That’s some fine Chard. Done – I am aiming for the Delaire Graff, Eikendal and Hartenberg! Done. All that work has made me thirsty! The winner is Emma Taylor of La Mivoie, Mauritius. Congratulations!